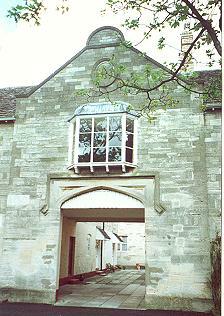 A parish workhouse was built in 1724-5 at the upper end of Silver Street (now Parliament Street), Stroud. The inmates were usually occupied in some branch of the cloth-making industry etc. The first master to be appointed received a loan of £50 so that he could employ them in card-making. He was allowed to keep £20 a year from their earnings, and 18d. a week for each person's maintenance. Later contractors running the establishment included a broad-weaver in 1774, and a linen-weaver in 1797. In 1803, the 65 inmates earned a total of £88 in that year, about a fifth of the cost of keeping them. 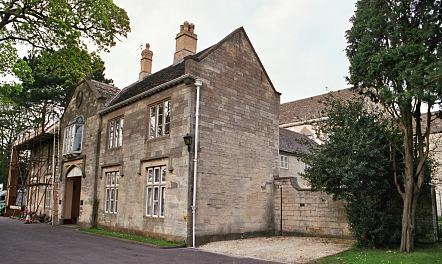 The former Stroud parish workhouse. A parliamentary report of 1777 recorded parish workhouses in operation in Stroud (for up to 100 inmates), Avening (20), Horsely (100), King's Stanley (70), and Minchinhampton (100). County of Gloucester: Avening-with-Nailsworth (2), Bisley (3), Cranham, Horsley (3), King Stanley (2), Leonard Stanley, Minchinhampton (3), Miserdine, Painswick (3), Pitchcombe, Randwick, Rodborough (2), Stonehouse (2), Stroud (5), Woodchester. The population falling within the Union at the 1831 census had been 40,767 with parishes ranging in size from Pitchcombe (population 45) to Stroud itself (8,607). The average annual poor-rate expenditure for the period 1833-5 had been £14,060 or 6s.11d. per head. 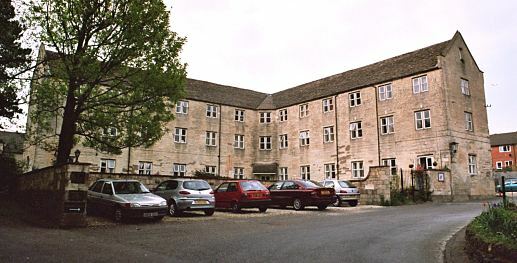 Stroud Union workhouse was built in 1836-40 at a site to the north side of Bisley Road. It was designed by William Mason who was also the architect of the Union workhouses as Ipswich, Epsom, Hambledon, together with enlargement schemes at Bury St Edmunds and Hartismere. Mason's design for Stroud was the relatively uncommon double-cruciform plan that he also employed at Epsom. In 1837, the Poor Law Commissioners approved an expenditure of £10,610 on the erection of Stroud workhouse which was to accommodate up to 500 inmates. The site location and layout is shown on the 1901 OS map. The entrance block at the southern side of the site had a central archway. The present building appears only to date from 1899, however. Stroud entrance block from the south, 2004. At the centre of the site, behind the entrance block, was a three-storey administration block. Stroud rear of administration block from the east, 2004. The two three-storey cruciform accommodation ranges had octagonal hubs with windows overlooking the inmates yards formed between the wings. Stroud eastern accommodation wings from the south, 2004. On 1st September 1856, an Episcopalian chapel and about three acres of the cemetery on the south side of Bisley Road, were consecrated by Dr. Baring, the Bishop of Gloucester. William Lewis, a pauper from the workhouse, was the first to be interred in the new burial ground on September 4th. A new Master's house with central archway was erected at the south of the administration block in 1899. A new mortuary and vagrants' block were also added in a separate building to the east of the workhouse. From 1904, to protect them from disadvantage in later life, the birth certificates for those born in the workhouse gave its address just as 1 Bisley Road, Stroud. The workhouse closed in 1940 but is believed to have housed US military personnel during the Second World War. The building then stood empty for many years. Following conversion of the buildings to residential use in the mid-1990s, the administration block, accommodation ranges, Master's house, and much altered mortuary/vagrants' block survive. In the early part of the Second World War, the former workhouse was used to billet British troops including the RA 3rd/5th Survey Regiment. Gloucestershire Archives, Clarence Row, Alvin Street, Gloucester GL1 3DW. Very few local records survive. Holdings include Guardians' minute books (1836-1930). Townley, C (2009) Stroud Workhouse - A Danger to Sick People - the illustrated story of the turbulent years leading up to the final closing-down in 1939 of the former Stroud Union workhouse. Published October, 2009. Copies available from Stroud Tourist Information Centre, Stroud Museum, by post from Chas Townley , 4 Thompson Road, Uplands, Stroud, GL5 1TE, or online at www.stroud-history.org.uk. Price £5.99. 58pp. ISBN: 978-0-9563313-0-4.